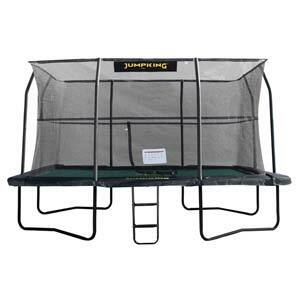 The Thunder is one of the world's strongest and safest trampolines and is designed specifically for home use. 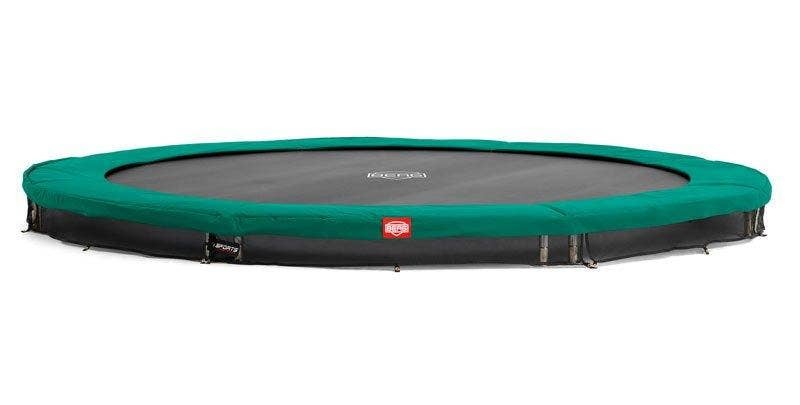 This trampoline has been made to have the best bounce of any recreational trampoline in existence. 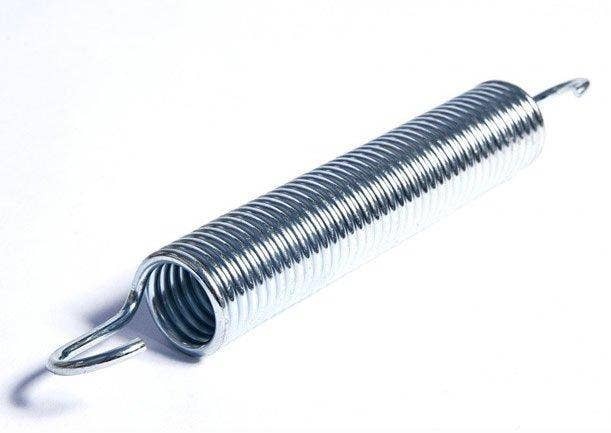 Instead of traditional coil springs which feature on regular trampolines, the Thunder has 48 pre-curved Leaf Springs, so that you cannot get caught in them and no frame to bounce off. 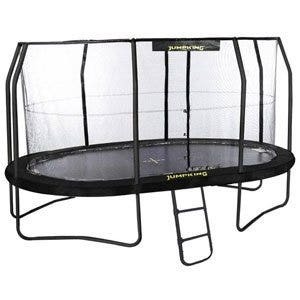 The thunder is one of the first soft-edged trampolines to use these Leaf Springs which provides this super trampoline with powered bouncing, extra strength and easy installation. The waterproof, UV stabilised, polypropylene woven bed mat has mulitple lines of perimeter stitching. This mesh allows for easy drainage making it ideal for outdoor use. The children will have hours of fun letting their imagination come to life and playing games like trampoline twister and follow the leader with Vuly's HexVex™ printed on the mat. With matte black powder-coating, heat-treatment and double-dipped galvanisation The Vuly Thunder is highly defensive against rust, scratches and cracks. The unique shape of the Thunder's strong dual-frame design means that you will feel more power in every bounce. 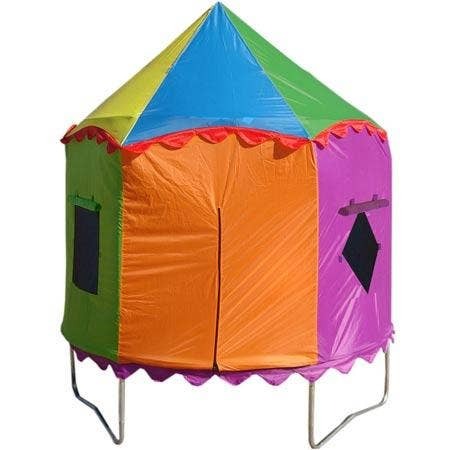 The Thunder's safety net has been cleverly put together so that no matter how many times you crash into the net, your children cannot be hurt by the poles or the frame. This monster of a trampoline stands just over 3 metres high, which shows just how high you can bounce! 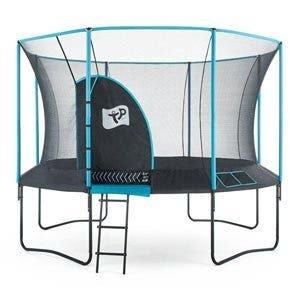 Vuly Trampolines launched Vuly 2 in 2015, a redesign of the original Vuly trampoline, which incorporated Thunder’s design in the net, net poles, and jump mat. 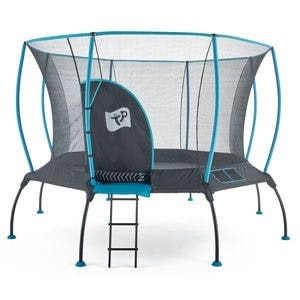 The Vuly Lite model, incorporated elements from Thunder and Vuly 2, while at the same time being Vuly's most accessiblly priced trampoline model. FREE NEXT WORKING DAY DELIVERY - This item is despatched free of charge on a next working day service to England, Wales and parts of Scotland. Orders received before midday will be despatched the same day. Other areas will have a delivery surcharge (dependent on the postcode) added automatically during checkout.